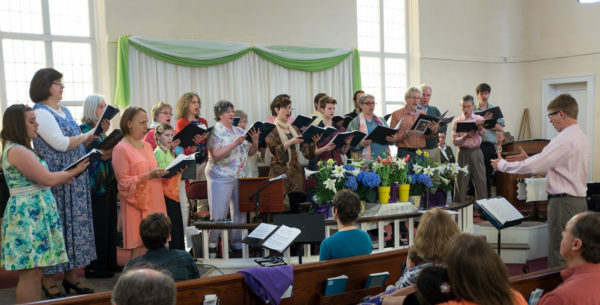 Community members are invited to attend a weekend of musical worship titled, “How Can I Keep From Singing,” at the Unitarian Universalist Church of Kent, located at 228 Gougler Avenue in Kent. Recognizing that music unites, transcends, heals, and inspires, music’s beauty and power are honored each year with a special worship service. Under the direction of Music Director Hal Walker, musical ensembles will include the Peace Choir, Fallow Time Folk Orchestra, the Tone Chimers Bell Choir, the Peace Pipers Recorder Ensemble, as well as other talented musical groups. Due to the popularity of the annual music service, a Saturday afternoon service including childcare for preschool age and younger has been added. The service on Saturday, February 25 begins at 4:30 p.m. followed by a social hour with light refreshments. The February 26th Sunday services are at 9:45 a.m. and 11:30 a.m. and will offer a children’s chapel for children grades K – 5 and child care for younger children. The church is handicap accessible and offers a T-coil hearing loop system. Parking is available behind the church, street parking on Gougler Avenue, and in the parking lot across from the church. All are welcome to join in nourishing your spirit with this uplifting worship service!